Spring is the time of the year when everyone is supposed to get second chances and fresh starts. Our experts have put together a gift that shares this sentiment. 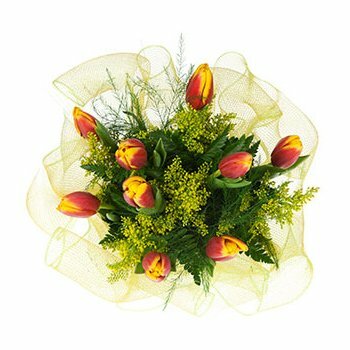 Your recipient will receive a bouquet focused around 10 warm orange Tulips accented with vibrant greenery. Say Thank You, Celebrate a Birthday, or decorate your home with Breath of Spring.